GIRL POWER NEEDED! 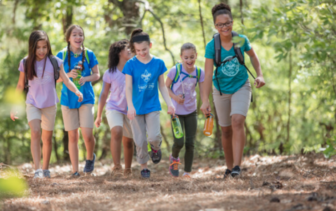 For the first time in history, the Boy Scouts of America is opening its program to GIRLS! We are currently seeking girls from Kindergarten to Grade 12. Girls are invited who are interested in adventure and outdoor activity, learning leadership skills, making a difference in the community, and having fun. Join us in our long-standing (103 years and counting!) Darien Scouting programs. We know there are a lot of questions about this new program, and we have the answers! Interested girls and their parents are invited to come to our information session at 4 p.m., Sunday, Nov. 4 at the Scout Cabin, 140 West Ave., and bring your friends! For more information contact darienscouts@gmail.com. This image was added by Darienite.com. 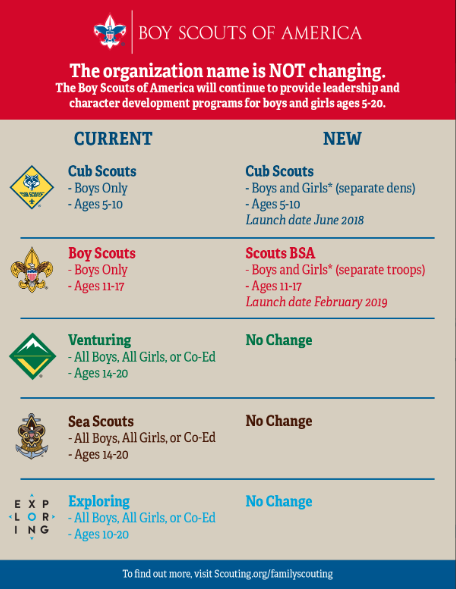 It comes from the Scouting.org website.